On January 23rd of 2006, the beacon, un-modulated radio signal was received during while the piecewise 'uplink sweep' plus 'commands transmission' operation. 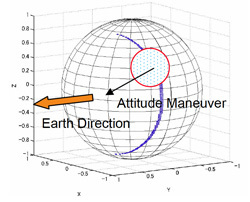 The spin axis attitude shifted almost 90 degrees and the spacecraft was found with its high gain antenna axis offset about 70 degrees from the Earth direction, when discovered. 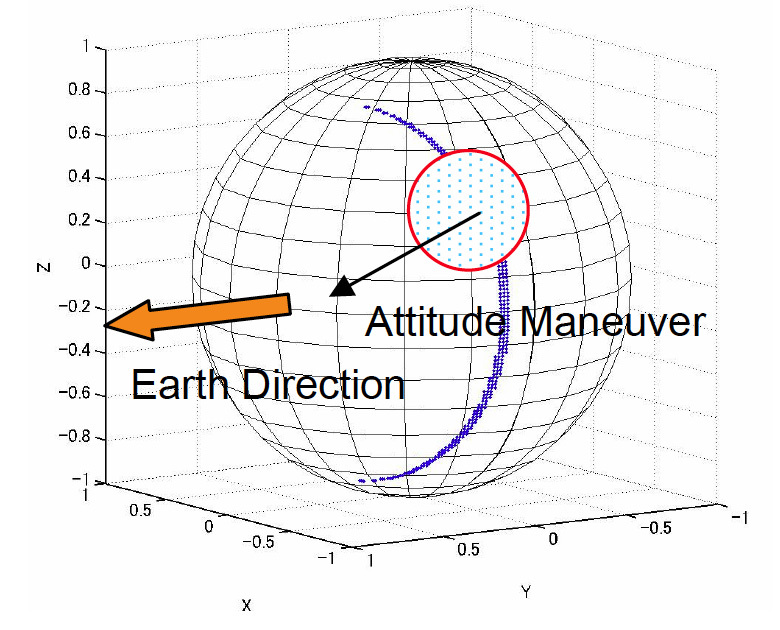 In addition, the spacecraft spin rate was direct and about 1 degree per second on December 8th. However, when the signal was recaptured, the spin got retrograde at the speed of about 7 degrees per second. The communication, especially uplink commanding, first did not go through easily. 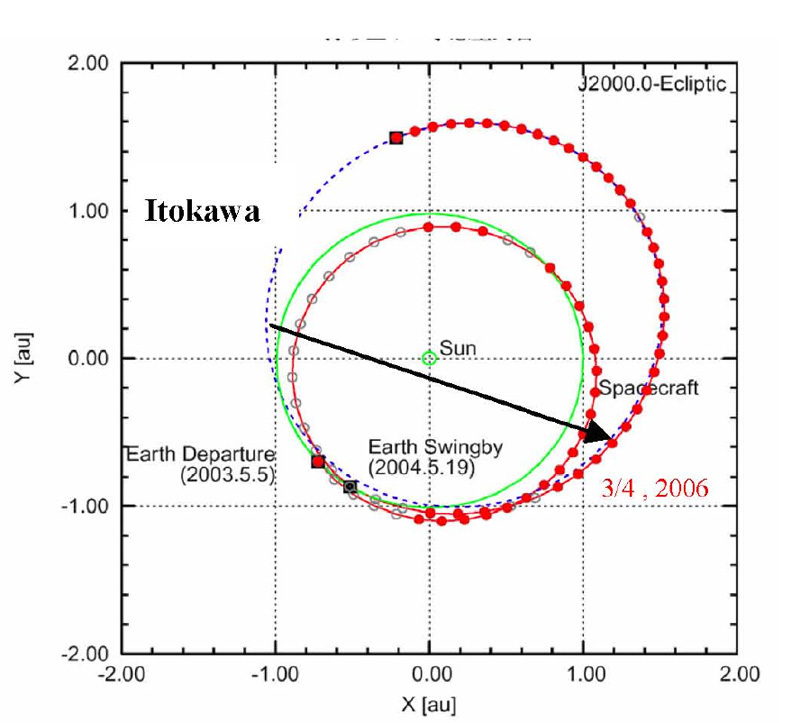 But from January 26th, the autonomy function aboard Hayabusa started responding to the inquiries from the ground, and the spacecraft status had been revealed one by one till early February. 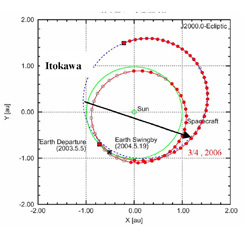 The information obtained indicated the Hayabusa spacecraft power was completely lost once, after the spacecraft lost its attitude, and short circuitry phenomena are observed for the Li-ion battery cells aboard. This means the battery may not be used any more. While the chemical fuel was lost last December, this time the oxidizer seemed lost completely, as the instrumentation reads zero pressure. The Xenon gas amount aboard remains unchanged. 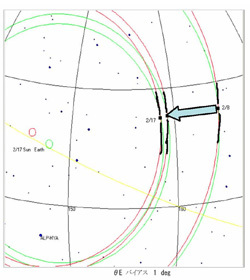 Fig.4 Attitude Direction in which no communication on Jan. 20th but identified on Jan. 23rd. 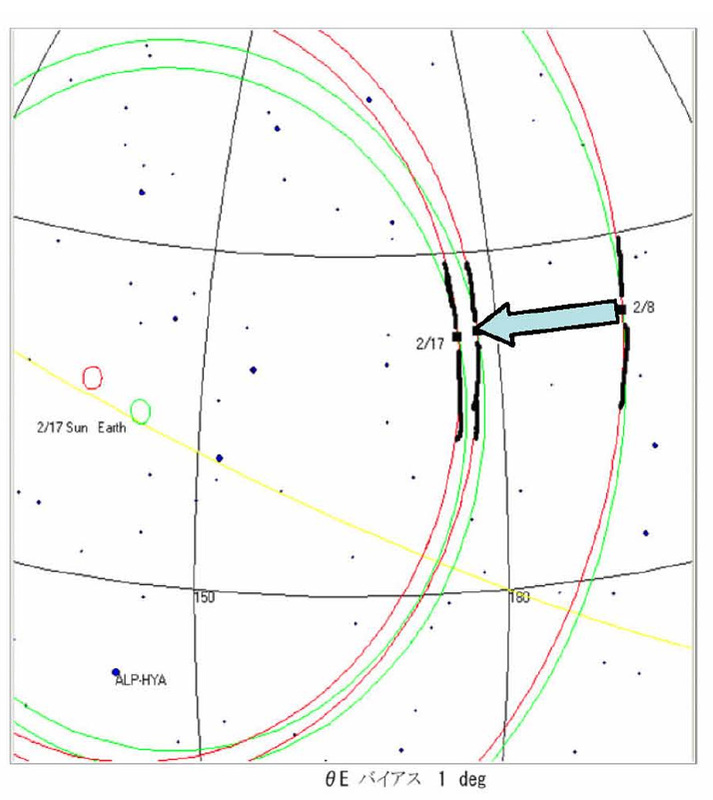 Red circle shows the spin direction area estimated for Jan. 23rd acquisition. 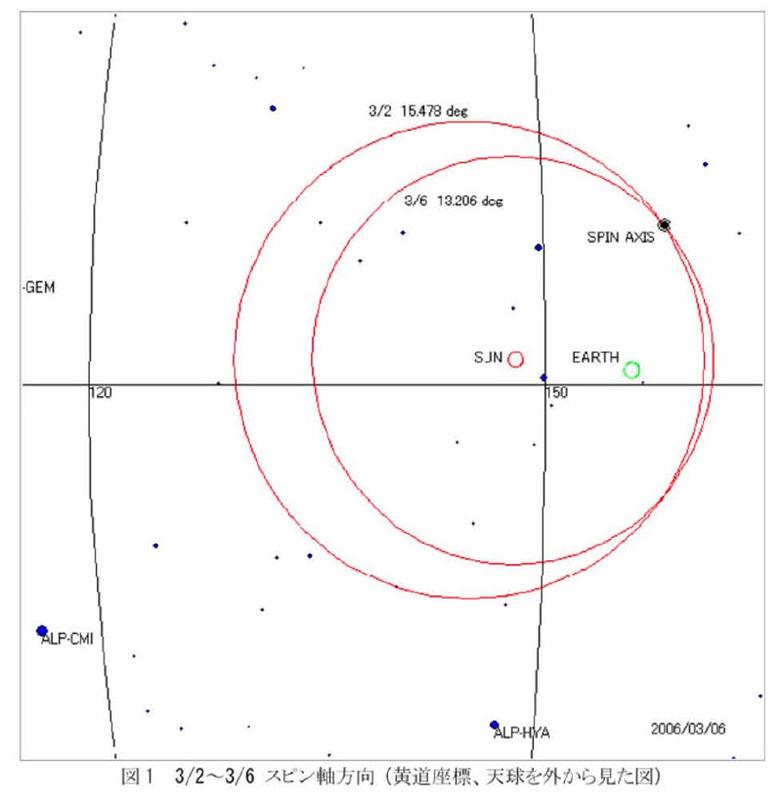 The communication gradually has been improved and the telemetry data were received via Low Gain Antenna on February 25th with the speed of 8 bps. And on March 1st, a radio range measurement was correctly obtained. On March 4th, the telemetry data were received with 32 bps via Medium Gain Antenna (MGA)-A. There is still some possibility that substantial amount of fuel and oxidizer are left leaked out on the spacecraft. And a special Baking operation is inevitable to exclude any gas potential by raising the spacecraft temperature higher via the heaters aboard, after the completion of the orbit determination as well as the emergency operation software installation uploaded. The Baking operation, however, may cause another fuel gas eruption risk that may easily tumble the spacecraft again, and the operation needs to be done very carefully. It may take a few months. A similar Baking operation will be performed next for the sample recovery capsule, and the capsule rid will be closed with the sample collection catcher pushed into it. During the cruise back to the Earth, the ion engines will be operated and the temperature goes higher. In order that any gas should be baked out at any operation environment during the cruise, a further Baking operation will follow with the appropriate number of ion engines turned on. At highest, three ion engines will be driven at the same time. This operation takes several months. 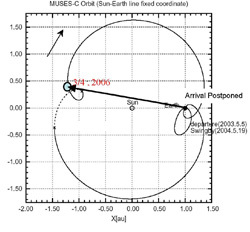 The cruise with the ion engines on starts early 2007, so that the spacecraft should go back to the Earth in June of 2010. The Xenon gas remained aboard is estimated about 42 to 44 kg. 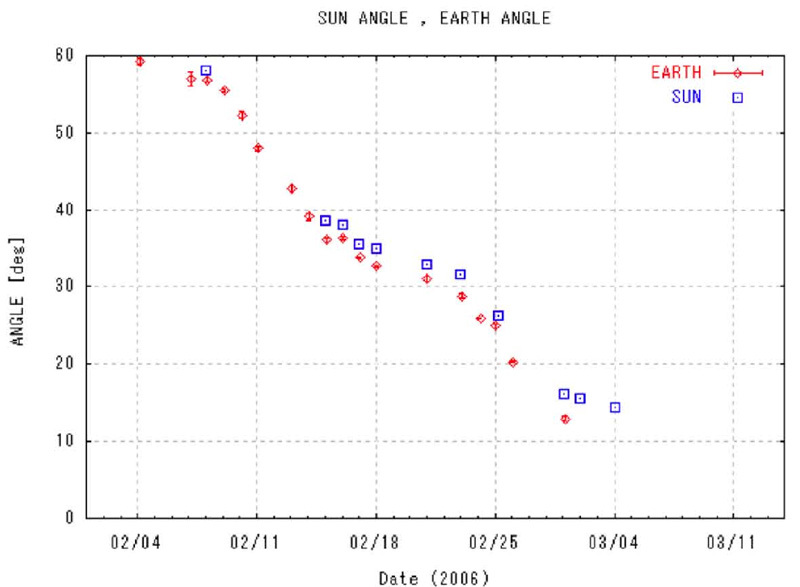 As long as no further gas eruption occurs, the existing gas amount suffices the cruise flight ahead to the Earth. Note still ion engines, star tracker, attitude control computer and so on all have not gone through the functional verification after this gas eruption accident, while those must have been exposed to extreme low temperature between December and January. 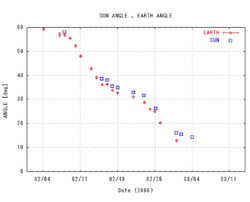 While the radio communication resumed in January, the spacecraft status was under a very serious/fragile/subtle condition with no information that accounts the public for the status. The spacecraft has been exposed to the sudden gas eruption risk so far. 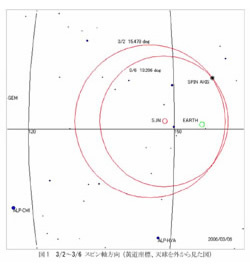 At the end of February toward early March, the status was obtained and the information was gathered a lot these days. 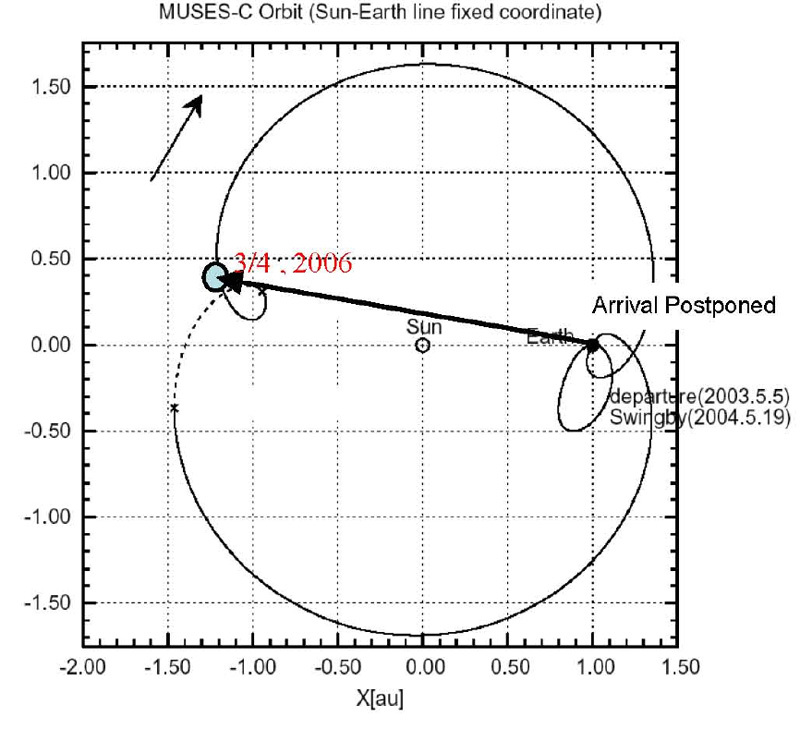 And today, the public release was issued with not only the attitude but the orbit information as well. For those who have anticipated so far, understanding the spacecraft status would be appreciated and the project team would like to apologize for little public information provided.